The third annual compilation of 80 cryptic crosswords from The Sunday Times. 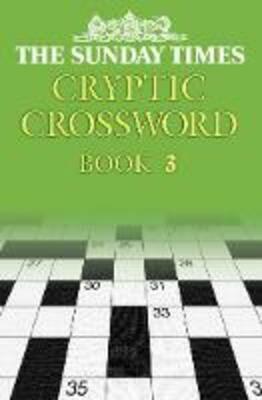 The cryptic crossword in The Sunday Times poses one of the greatest puzzle challenges, and here - in the third collection of The Sunday Times Cryptic Crossword - are 80 brainteasers to test you to the limit. All the puzzles are set out in an easy-to-use, double-page spread to view layout, with all the solutions clearly laid out at the back of the book. So, if you reckon you can solve `It helps one keep up one's reading' (7) - answer `bookend' - or `Wet swan seen on reservoir' (6) - answer `dampen' - or `Professional man beginning to panic over crime' (6) - answer `parson', this is the mindstretching book for you.